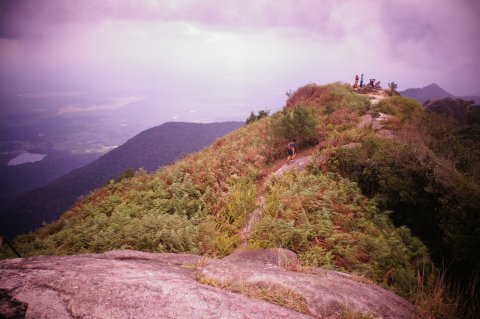 Gunung Ledang, or Mount Ophir, is a 1,276m tall mountain at northwest Johor in Malaysia. 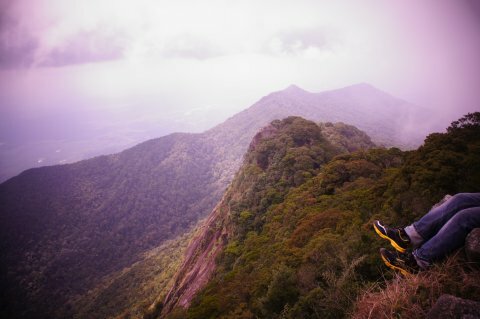 It’s one of the most popular mountains in the region and was said to be the most climbed mountain in the country. 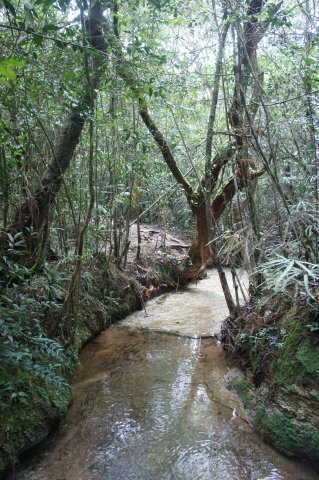 Read Wikipedia on the Legend of Gunung Ledang. 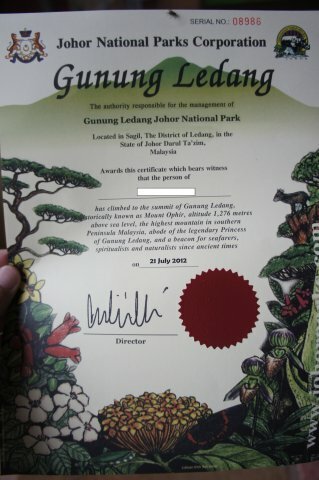 I last hiked the Gunung Ledang around the same time last year. But as the real summit was closed off due to military reasons, we only get to hike up to a lower false summit where there wasn’t anything much except a huge boulder. 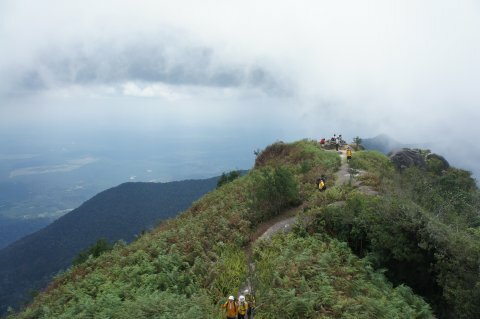 So when I heard the hiking group was organising a trip to Gunung Ledang and that the real summit is now open, I jumped at the chance. Mountain hiking can become an addiction. 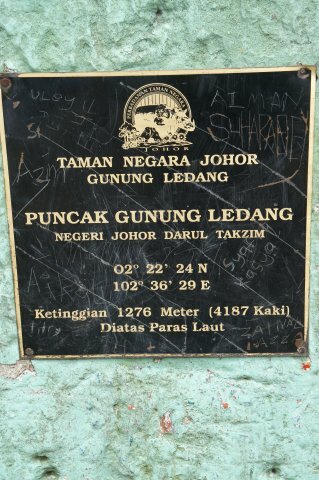 As I brought along my GPS along, I managed to track the route from Singapore to the summit of Gunung Ledang. If you need the route and waypoints in Garmin GDB format, just post a comment and I will send the download link to your email. A chartered coach picked us up at 600am in Singapore. 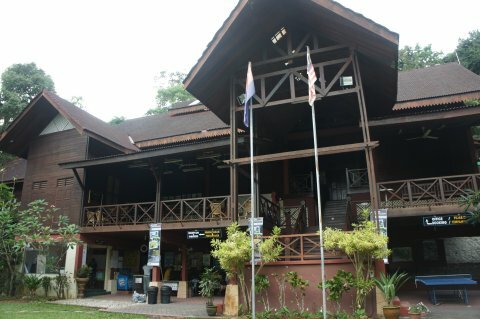 We reached Gunung Ledang office at around 930am where we met our guide which we arranged in advance. 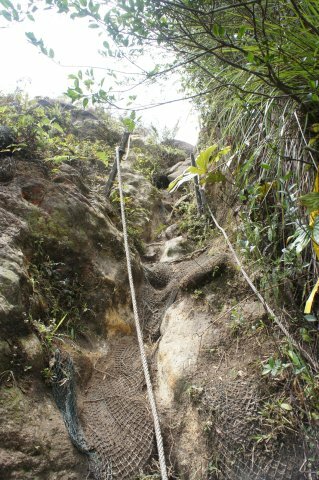 As we were rather late, the guide explained that we would take the shorter route up. Referring to the map below, one can take the shorter route (dotted line) by turning left after CP3. 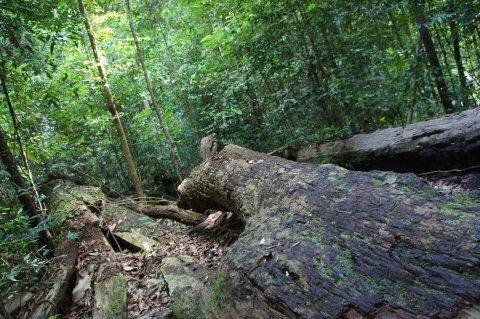 Usually, the shorter route is used for the hike down from the summit. Before the hike, we had to declare the things we are bringing up the mountain. Anyway, there are lockers at the park HQ where you can deposit your belongings. 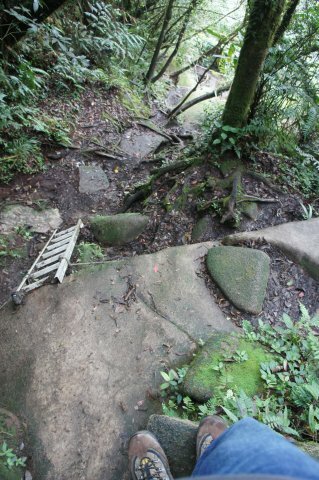 The start of the hike was a long flight of stairs. It’s pretty tiring. 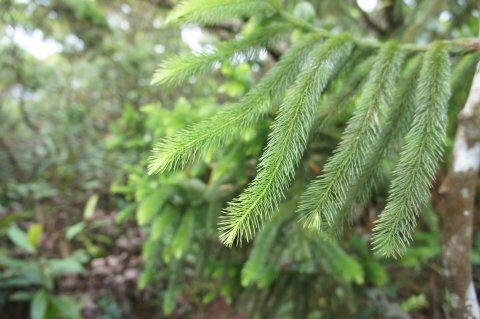 The vegetation started to change after we reached a certain height. Our guide had to report our progress to HQ regularly. 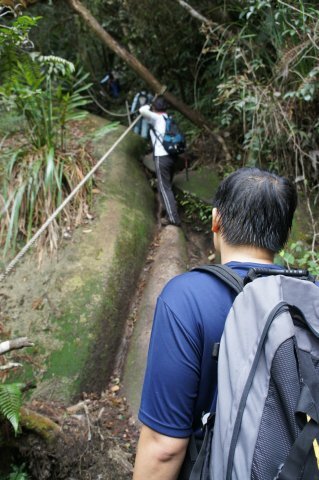 Some steep climbs at the final section of the hike. Again, gloves would come in useful. Final stretch to the summit! I wonder how they managed to build radio towers at such a height where there are no access roads. It took us almost 4 hours to reach the summit. The views were great! 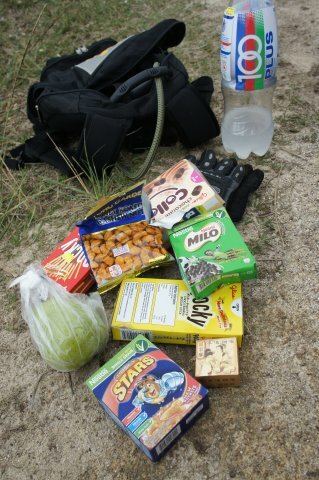 Our assorted snacks for the summit picnic. 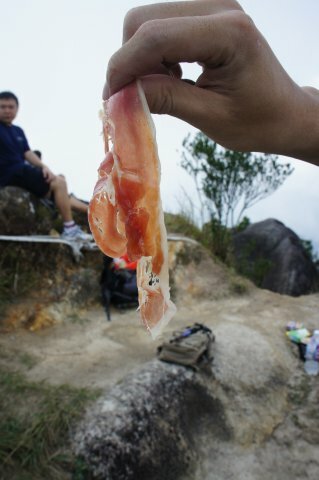 Two spanish guys who tagged along our group offered us some sort of marinated meat. It’s good! Not soon after we started our descent, I got into shoes trouble. 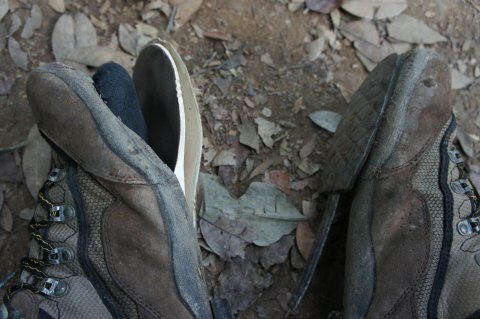 My second visit to Gunung Ledang and my second time having problems with my shoes. During my hike last year, the new shoes I brought along gave me such bad abrasions that I kept the shoes in my backpack and walked in my socks for majority of the hike. Well, this time it wasn’t as bad. Just a little discomfort. 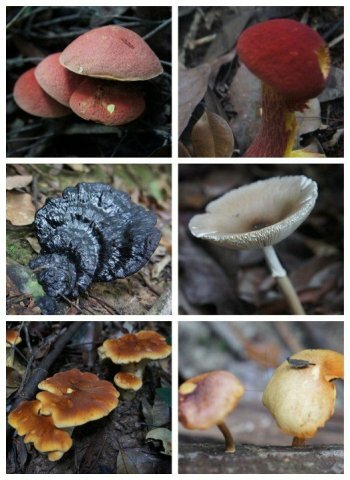 The leisurely pace allowed me to snap some shots of the many fungi we spotted on Gunung Ledang. The mini waterfall near the start of the hike. Back to park HQ. It took us another 4 hours for the descent. Yes, we received our certificates of accomplishment! 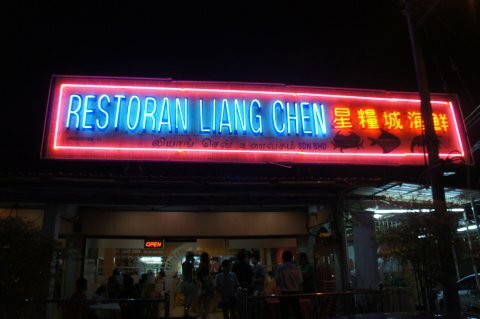 Dinner was at Restoran Liang Chen near Skudai recommended by our driver. 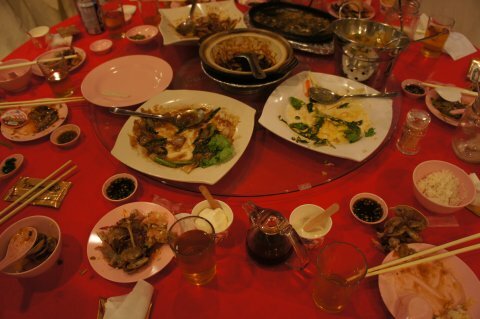 The food was scrumptious and the price was decent. A great end to a fruitful day trip! Thanks to Bob for organising the trip! Hey, informative write up there. So, as of May ’12, the actual summit is open? And what about the waterfalls on the way up? Are they also open? I heard they used to be closed for some military stuff. 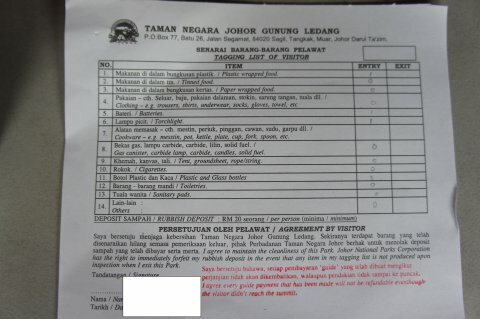 I’m planning a trek to Ledang sometime in September.. first time! Yes, that’s what I heard. Anyhow, the actual summit is open now. 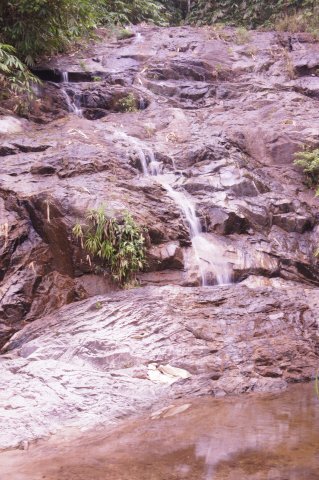 I only visited the very small waterfall near the start of the climb. Not too sure about other waterfalls in the reserve. Would like to understand more about how to get on to the trip. 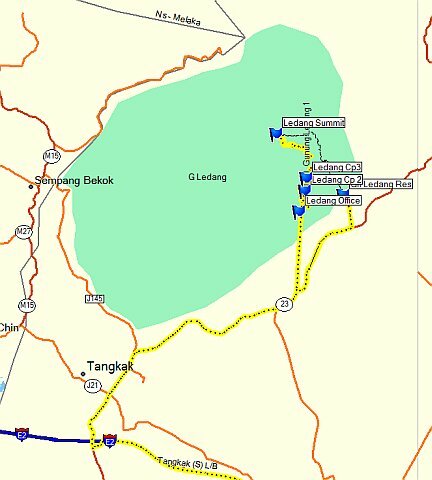 Appreciate if you can reply with the download link for the Garmin GPS tracklog to better understand how the trip can be planned. It would be easier if you are going by your own transport or charter a coach. Is there a day trip just to the falls from either kuala lumpur or singapore? I am planning a trip in March 2014. 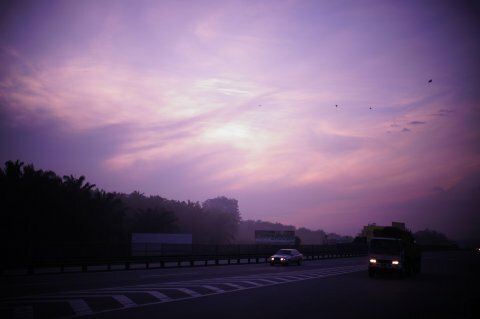 Day trip from Singapore is possible but you must start off early and probably get back to Singapore in the night. Booking advance is very much advised. I have emailed you more details. We are a group of 10pax, plan to hike the summit during Aug9th-10th. What are the package available if we start from the resort and also are there package to start from center point like CP4? Hi. 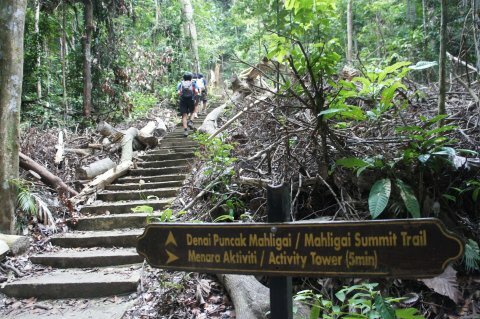 Can you send me the details on how to arrange a guide for the climb up? Planning to do this this December. Its kind of a last minute plan. Thanks! Ophir is closed in Dec.
Have emailed you with more details. 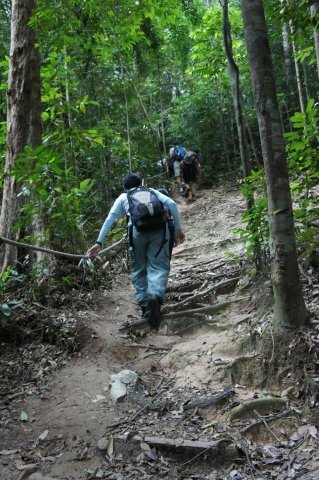 Hi nice write up… i am going up to Mount Ophir in 5 Feb 2015…. 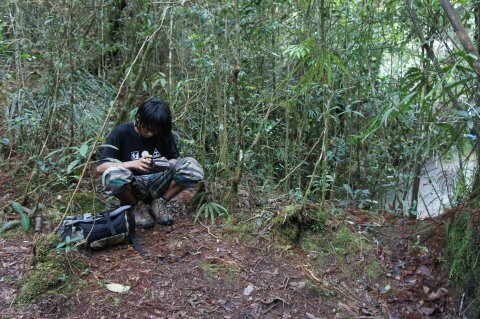 Can share with me th gps waypoints for mount ophir? Thank you for the detailed writeup. 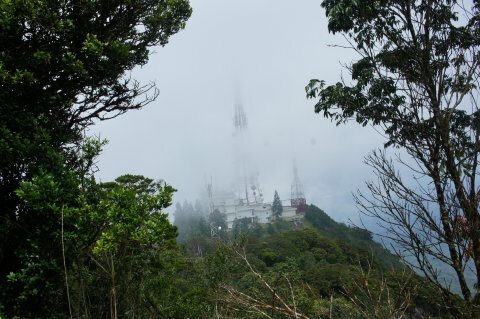 Could you possibly provide the phone number/hotline so we can book a guide to trek up the mountain? I’m going with another person during CNY. Also is the summit open now? Thank you so much in advance for your help. Hi can you share with me the contact for private coach or mini bus? Hey may i know how to get a guide and private transport back and forth from sg. Im planning a trip with a group of friends. How much would it cost per person? hi…. 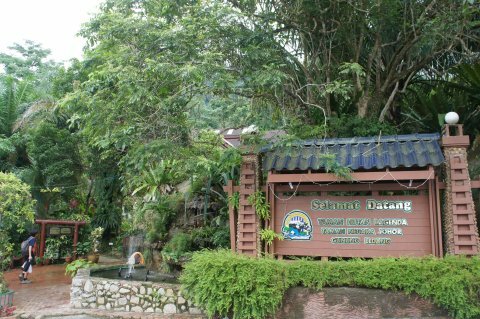 I have a family of 4. we are not active people but we want to go to Mount Ophir Waterfall from singapore. Its our 1st time adventurous trip. could you recommend any contacts ? we are going on this coming labour day 2015. My friends and I plnning to go for a hike in June. Would you mind to let me know about the details of the packages and how to book it? 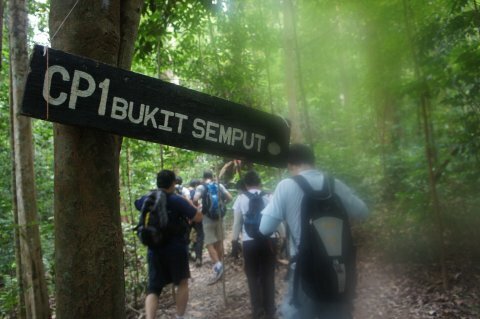 I’m planning a trip to climb mt ophir in june 2015, can u pls share how to arrange for a guide. If you need an organiser, please contact http://iwannatravel.com.sg. Hi atticus. 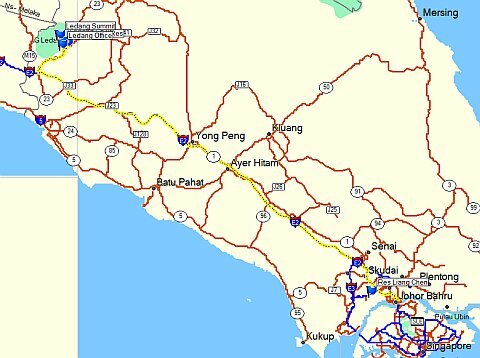 Im planning a trip to go on Feb (CNY) 2016 with my friends. Do you think everything is available that time? I mean everything, is everything. Let me know what things is unavailable or myb on construction or other else. Thankyou. 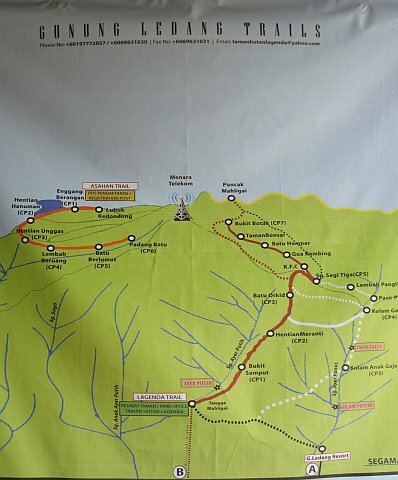 , can you provide more details who to contact and etc..
Hi, do you know where to park our vehicle for this trek? Whats the address or coordinates? Thank you. can yo guide me ? How does one get a permit? Can i buy it on the day? Where from? Who to contact to arrange guide? HI! May I have the contact details for a guide to lead us up? Thanks! The hike has to be arranged in advance. Contacting the Park directly can be hit or miss. Easiest way is to let an agency handle the permit application and things like transport. 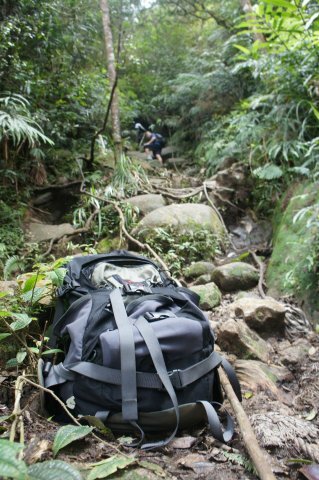 Do a search for Mt Ophir and you can find these agencies specialising in trek arrangements.